"Remember us." As simple an order as a king can give. "Remember why we died." For he didn't wish tribute or song. No monuments, no poems of war and valour. His wish was simple: "Remember us," he said to me. That was his hope. Should any free soul come across that place, in all the countless centuries yet to be, may all our voices whisper to you from the ageless stones: Go tell the Spartans, passer-by, that here, by Spartan law, we lie. So my king died, and my brothers died, barely a year ago. Long I pondered my king's cryptic talk of victory. 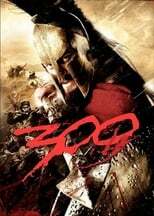 Time has proven him wise, for from free Greek to free Greek the word was spread that bold Leonidas and his 300, so far from home, laid down their lives, not just for Sparta, but for all Greece and the promise this country holds. Now, here on this ragged patch of earth called Plataea, Xerxes' hordes face obliteration! Just there, the barbarians huddle, sheer terror gripping tight their hearts with icy fingers, knowing full well what merciless horrors they suffered at the swords and spears of 300. Yet they stare now across the plain at 10,000 Spartans commanding 30,000 free Greeks! Haroo! The enemy outnumber us a paltry three to one; good odds for any Greek. This day we rescue a world from mysticism and tyranny, and usher in a future brighter than anything we could imagine. Give thanks, men! To leonidas, and the brave 300! To victory! Captain Artemis: I had lived my entire life without regret until now. It's not that my son gave up his life for his country. It's just that I never told him that I loved him the most. That he had stood by me with honor. That he was all that was best in me. Stelios (first lines, to Leonidas): We are with you, sire! For Sparta, for freedom â€“ to the death! Wounded child: It's quiet now. They came from the blackness. Persian Commander (cracking whip): Forward! Persian Soldier (as he is stabbed by Leonidas): Back! Gorgo: So, what does a realist want from his queen? Theron: I think you know. Leonidas (decides to visit the small Persian contingent): Captain, I leave you in charge. Leonidas: Don't worry, Captain. Remember, if they assassinate me, all of Sparta goes to war. Pray they're that stupid. Pray we're that lucky. Besides, there's no reason we can't be civil, is there? Leonidas: Before you speak, Persian, know that in Sparta, everyone, even a king's messenger, are held accountable for the words of his voice. Now, what message do you bring? Persian Messenger: Earth and water. Leonidas (pauses): You rode all the way from Persia for earth and water? Gorgo: Do not be coy or stupid, Persian. You can afford neither in Sparta. Persian Messenger: What makes this woman think she can speak among men? Gorgo: Because only Spartan women give birth to real men. Leonidas: Daxos. What a pleasant surprise. Daxos: This morning's full of suprises, Leonidas. Arcadian soldier: We've been tricked. Arcadian: Only a few of them? That is a surprise. Daxos: Silence! We heard Sparta was on the warpath. We were eager to join forces. Leonidas: If a bit of blood you seek, you're welcome to join us. Daxos: But you bring only these handful of soldiers against Xerxes? I see I was wrong to expect Sparta's commitment to at least match our own. Leonidas: Doesn't it? [points to a soldier next to Daxos] You there, what is your profession? 1st Arcadian Soldier: I'm a potter ... sir. Leonidas: And you, Arcadian, what is your profession? 2nd Arcadian Soldier: Sculptor, sir. Leonidas (turning towards the Spartans): Spartans! What is your profession? Leonidas: See, old friend, I brought more soldiers than you did. Dilios: Curses the Gods and mourns alone. Leonidas: This battle is over when I say it is over. Daxos: By morning the immortals will surround us. The hot gates will fall. Leonidas: Spartans! Prepare for glory! Daxos: Glory? Have you gone mad? There's no glory to be hunted now. Only retreat or surrender ... or death. Leonidas: Well, that's an easy choice for us, Arcadians. Spartans never retreat! Spartans never surrender! Go spread the word. Let every Greek assembled know the truth of this. Let each among them search his own soul. And while you're at it, search your own. Leonidas: This is where we hold them! This is where we fight! This is where they die! Captain: Earn these shields, boys! Leonidas: Remember this day, men. For it will be yours for all time. Persian Officer: Spartans! Lay down your weapons. Leonidas: Give them nothing! But take from them ... everything! Stelios: Our ancestors built this wall, using ancient stones from the bosom of Greece herself. And with a little Spartan help, your Persian scouts provided the mortar. Persian Emissary: You will pay for your barbarism! Stelios: It's not yours anymore. Go now, run along and tell your Xerxes that he faces free men here, not slaves. Do it quickly, before we decide to make our wall just a little bit bigger. Persian Emissary: No, not slaves. Your women will be slaves. Your sons, your daughters, your elders will be slaves, but not you. By noon this day, you will all be dead men! The thousand nations of the Persian Empire descend upon you! Our arrows will blot out the sun! Stelios (grins): Then we will fight in the shade.